The federal implementation of the Affordable Care act has, since inception, had community health centers as a central component of the plan, serving as a network through which the primary healthcare needs of low-income individuals can be identified and met. In that vein, the U.S. Department of Health and Human Services (HHS) has invested relatively heavily in the facilities, personnel, and systems at those centers, but the level of ongoing funding may be in serious question. In its latest set of grants, HHS revealed Friday that it is giving nearly $300 million to 1,195 selected health centers across the U.S., as well as Puerto Rico and the Virgin Islands. The funding, of course, is part of an $11-billion, five-year commitment made through the Affordable Care Act to expand current community health centers and build new ones. Right now, there are about 2,100 health centers across the U.S. treating 21 million patients. This latest set of grants will help the selected health centers hire an estimated 4,750 new staff, as well as expand services such as oral health, behavioral health, pharmacy and vision services. HHS says this will help reach 1.5 million new patients. Of the $295 million awarded, the largest grants are going to the most populous states, such as California, New York, Illinois and Florida. But more rural states like Georgia, Louisiana, South Carolina and West Virginia, where there are disproportionally larger shortages of primary care providers, will each be able to hire nearly 100 new doctors. Why so much money specifically for primary care? With at least 13 million individuals newly insured through the Affordable Care Act, the need for primary care access has gone up dramatically. HHS said last fall that the demand is expected to rise by 14 percent, a figure also compounded by an aging population. Even before Obamacare, there was a shortage in primary care. A report by the Health and Resources Services Administration early this year found that almost 20 percent of Americans live in areas without enough primary care physicians. Community health centers in particular are expected to take on a lot of the newly insured, as well as an influx of patients in states that expanded Medicaid coverage through the Affordable Care Act. The centers accept many of the Medicaid and uninsured patients that other primary care physicians, dentists and mental health providers do not. They also charge fees based on a sliding scale and turn no one away for inability to pay. The federal government has also turned to community health centers to enroll more people under the Affordable Care Act, requiring many centers to hire staff to do outreach and patient education. According to HHS, community health centers have already provided enrollment assistance to more than 6 million people over the last year. Despite the rapidly growing reliance on community health centers, the continued level of federal support is unclear. This $295 million grant package is the latest installment of $3.7 billion appropriated for health center by Congress in January, but the funding is set to expire next September. As NPQ reported in July, the sunset date creates the potential of a fiscal cliff for health centers reliant on federal funds, particularly in underserved areas. Without continued support from Congress, Hawkins predicts few health centers could continue their current level of operations. 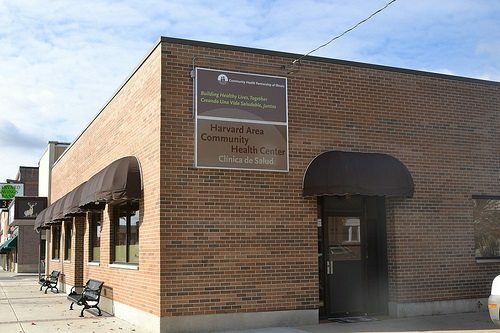 Community health center advocates and those concerned about health care access for vulnerable populations will be watching closely to see if the funding is sustained beyond next year. The grantees selected for this round of funding and the communities they serve will be especially anxious to know if future funding is in store as they begin efforts to quickly put the current funds to use. And as they sign more individuals up for Obamacare, they will surely be wondering if they will be able to continuing meeting their health care needs after next September. Addressing social determinants of health is a good start, but not enough. Communities, not healthcare professionals, need to be in the driver’s seat to achieve systemic change.